I love photography. Not only do you get to capture an all-too brief moment in your life (your first car! a surprise birthday reveal! graduation day! ), but you also get to relive that moment whenever you pour over the pics. This is just one of the reasons photography will always win out over an oil painting for me — I just like looking at the real thing. So when I first saw models hit the runways wearing digital print clothing, I was in awe. Sure, I’ve seen prints before, usually of the animal skin or classic polka dot variety, and illustrated patterns have been around for ages. But digital photo prints are a fresh take on the idea. Vibrant and super saturated, these digital prints run the gamut from beautiful landscapes and celestial skies to everyday objects like balloons and brightly wrapped candies. 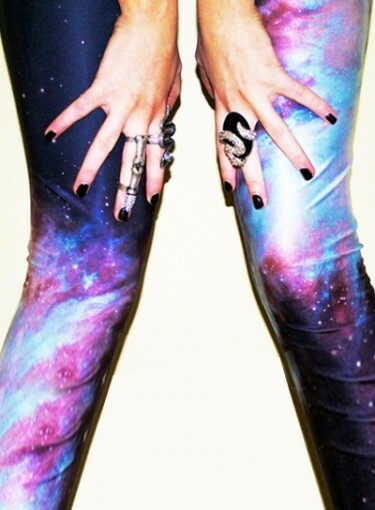 Click here to see the hottest trend, digital print clothing. Digital print clothing is popping up on everything — shoes, leggings, maxi skirts, cocktail dresses … just to name a few. And designers aren’t just using their favorite photo as is. Many have manipulated these real life photos for a collage effect, colorblocked themes, and as a play on faux fabrics. Click ahead to see what this hot trend is all about.